We revealed the Deadlift skin, the launch date of update 4.1, and announced the honorable mentions of the guide contest. You can read all the news below, or check it out on Youtube! 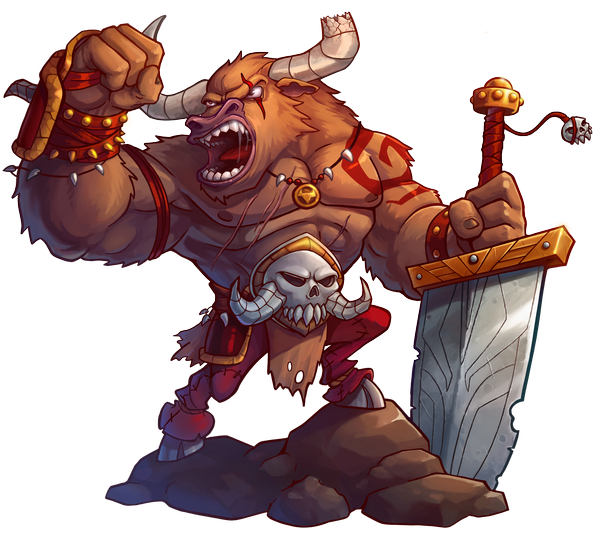 The Bullbarian Deadlift skin was revealed during the Streamisho. Show off your mighty sword when playing on the red team and an astonishing axe when playing on the blue team! A lot of great guides were written for the guide contest and we want to thank all participants for their efforts! The winners were announced live, and you can find all the guides in the announcement. The Rookie Royale invites new players to join an Awesomenauts tournament. The team will be under supervision of a veteran, who will coach the players during the tournament. Sign-ups are now open. More info here. When a team member dies they spawn in a room that requires 2 other members to open the door to the arena. This makes each fight a 3v3 battle with 3-stack respawns at a time! Check this custom map out in the Steam workshop!